If you are looking for a wonderful bowl of comfort food to get you through a winter day, or any day for that matter, look no further! Better Homes and Garden’s Aromatic Beef Stew with Butternut Squash will warm you up in no time. This recipe was shared by my good friend, Mrs. S, a few years ago. I was lucky enough to score a bowl the last time she made it. She was even sweet enough to take a picture for me to share with all of you. I’ve made this myself and it’s absolutely delicious and simple to make. 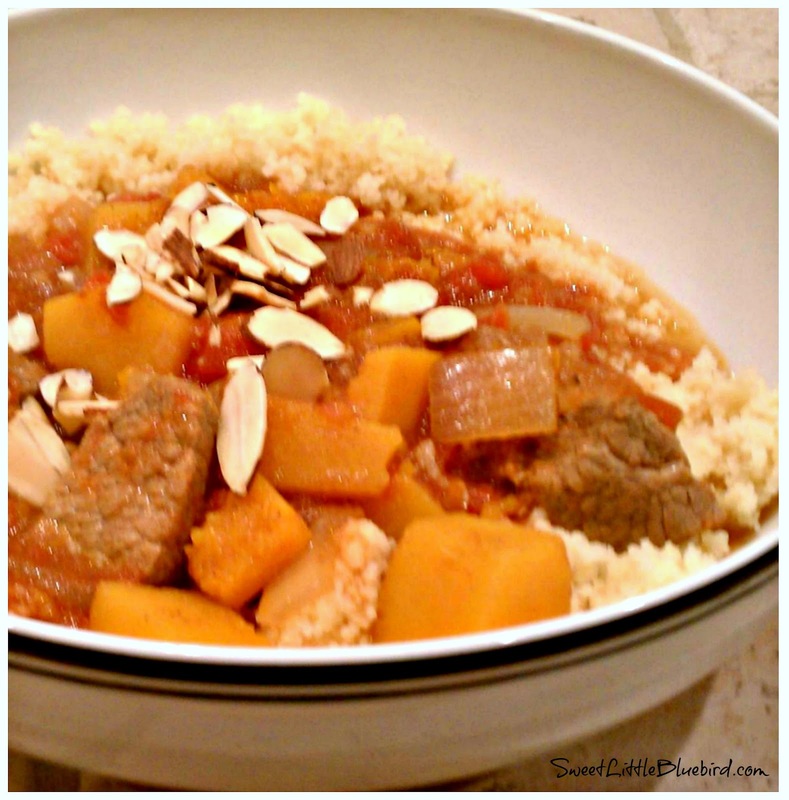 Mrs. S has made it several times (she always shares) and it always gets rave reviews, especially from me – it’s the best stew ever, a must try! Head to Better Homes and Gardens for full recipe. Be sure to print extra copies, you’ll need them to pass out to family and friends! I bet this does smell good! 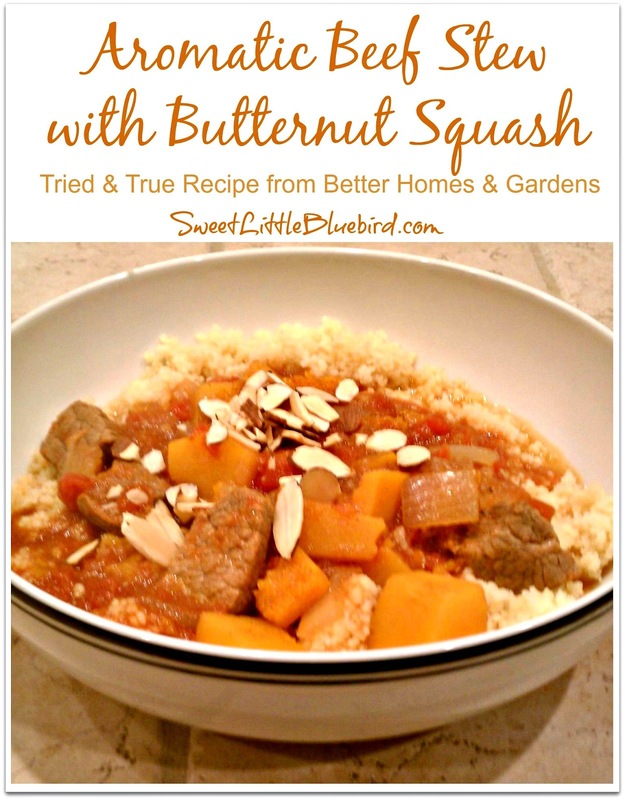 It is far different from any stew I've tried and I love squash, so I'm looking forward to making my whole house smell wonderful and having a tasty dinner as well!